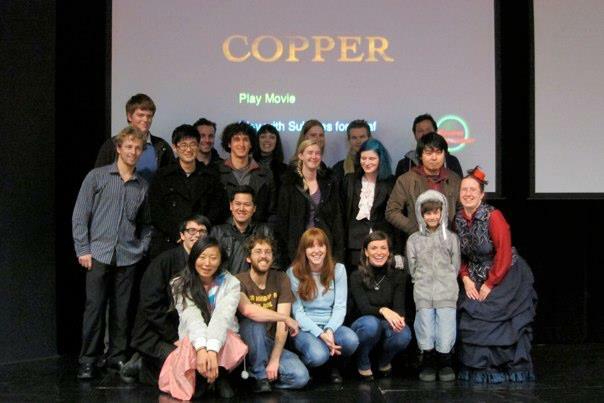 ‘Copper’ was premiered on May 26 at the Memorial Theatre, Victoria University. It loos like it was a fantastic evening. I was, unfortunately, unable to be there (being on the other side of the world and all). Photos stolen from Jack’s Facebook page. Thanks, Jack. I was finally able to see the film. I can’t describe the joy of seeing what we were able to achieve, to see Jack’s vision come to life. The film is heart-warming. I nearly cried – though that could be a mixture of homesickness, seeing my house on-screen. We’re entering the film into Film Competitions and Festivals. The film features Deaf Culture and New Zealand Sign Language, which we would love to show the world. Watch this space!